℗ © Moon Harbour Recordings. This is an incredible good trip back to the white island and its most famous and best underground after-hour club. The tracks on the 2 Cds are complitated and mixed by Arpiar, wich is the name of Rhadoo, Pedro & Raresh, when they all three together are at work. The sound of Cd1 is very minimalistic but almost every track has the special something, so the mix doesn't get booring at all. Outstanding tracks are in my mind "Creante" by Mica Publicitate und "Pedric 1" by Pedric. The second Cd is more Tech-House and House influenced than the first one is. Acctually the productions of Rhadoo and Petre Inspirescu aka Pedro stand out on this Cd. 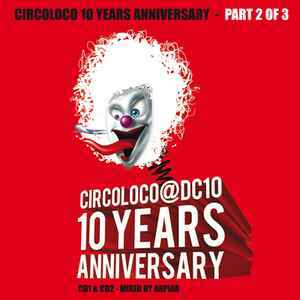 If you have ever been to DC 10 Ibiza you definitly will be remeberd of your awesom time there by this great mix !